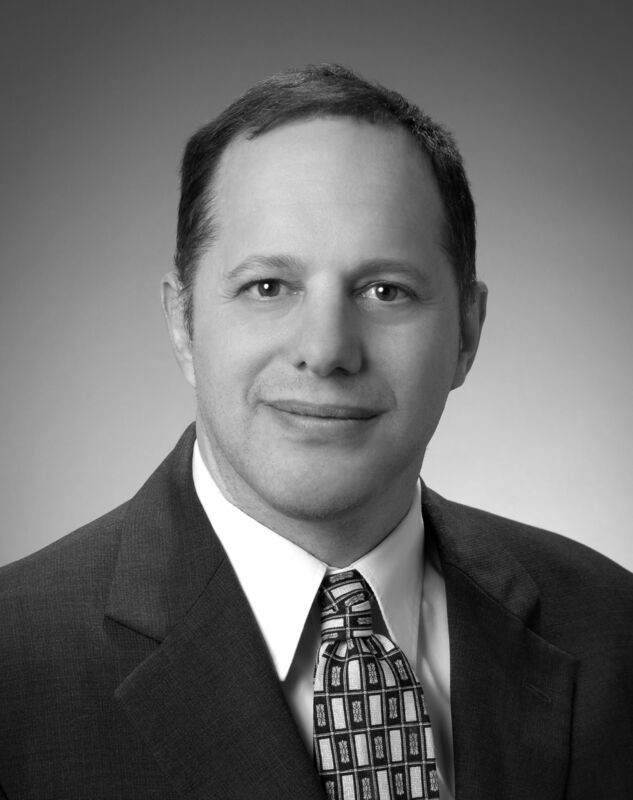 In late September 2018, David Fleishman, Superintendent of Public Schools in Newton, Massachusetts, sent an email to every school parent offering reassurance that complaints about anti-Israel bias in the high school history curriculum were without merit. But even as Fleishman sought to quash the seven-year-long controversy over how Israel was portrayed in the 10th grade World History course, one Newton teacher was busily intensifying the bias in another course. In response to a Freedom of Information Act (FOIA) submission to the Newton Public School system by Americans For Peace and Tolerance (APT) requesting all Israel-related materials in use, including in the MEALA course,2 officials provided a Power Point presentation, outline notes, instructional plans, email communications among faculty and administration and accompanying materials. The Power Point presentation with some accompanying information is reviewed here. The impact can be more readily understood by considering two maps. The first depicts the entire Middle East and North Africa, revealing the vast expanse controlled by 21 Arab states, a land area 600 times larger than Israel, with a population 50 times larger. All these states opposed Israel’s emergence and waged war against Israel. In the middle of this map, barely visible, is Israel. In the MEALA Power Point overview, there are 31 maps but not a single one illuminates Israel’s meager size in relation to its neighbors. The second map zooms in on the tiny Jewish state. The 21 Arab states are no longer in view and only Israel, the West Bank and the Gaza Strip remain. 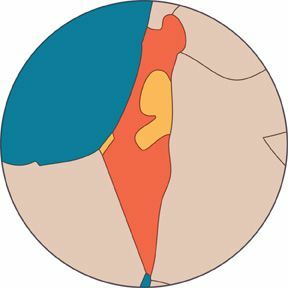 Within this frame of reference, Israel looms large, while the Arabs, now consisting only of the Palestinians, appear small. David and Goliath have switched places. Variations on this map are found two dozen times in the MEALA presentation. The course fails to convey the tenuous position of a tiny, lone Jewish state struggling to survive within a vast Arab realm and an even greater Muslim world community that rejects Israel’s right to exist and strives to isolate it. The Arab military and propaganda war on Israel was abetted by the Soviet Union, aligned with oil-producing Arab states that had a strangle-hold on much of the oil-purchasing world. Anti-Semitic, anti-Zionist messages saturate campaigns to boycott and criminalize the Jewish state. Throughout the Middle East, non-Arab and non-Muslim minorities, including Jews, Christians, Kurds, Berbers and Yazidis have faced persecution from the majority Arab-Muslim nations.4 The course does not consider how this regional environment affects Israelis’ sense of security and guides their government’s policies. The post-World War II period witnessed massive population transfers – 16 million Germans in Eastern Europe and the exchange of 14 million Muslims and Hindus in newly independent India and Pakistan. These events caused hardship, but were necessary for establishing lasting peace in the respective regions. The course does not examine whether Arab refusal to consider a similar transfer blocked resolution to the problem of the Palestine Mandate. While Israel absorbed over a half-million Jewish refugees, Arab states have kept Palestinian refugees in camps. The course does not examine why Arab states refuse to absorb Palestinian refugees as Israel did Jewish refugees – and as nations everywhere have done with many populations. With that curt dismissal, the teacher removes from discussion a major cause of the conflict and reduces it to a “dispute over real estate,”7 as one text source used in the course describes it. The same teacher praised former Palestine National Council member Edward Said as “an incredible thinker and historian.” In fact, Said was not a historian, although his views have gained significant following among anti-Western and anti-Israel academics. 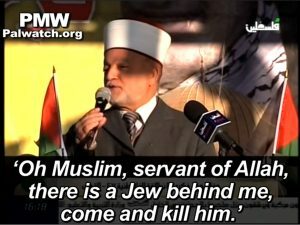 Screenshot from video on Palwatch.org: PA Mufti calls for violence against Jews. The teacher’s comments reflect an overestimation of his knowledge and unfamiliarity with such distinguished Middle East historians as Nadav Safran, Bernard Lewis, Efraim Karsh, Barry Rubin and Fouad Ajami, who shed light on religion’s role in the conflict. Benny Morris’s book, 1948, makes the case that the war was an Islamic holy war. But more importantly, this denial of religion’s role reflects unfamiliarity with what the Arabs, themselves, say about the conflict. 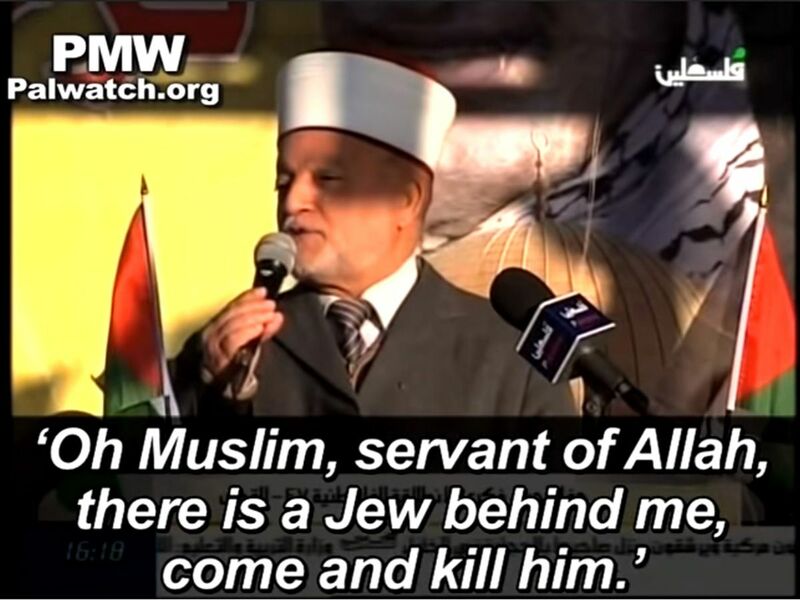 For over a century, religious dogma, especially the call to participate in a Muslim war (jihad), has been used to instigate violence against Jews and justify acts of terrorism, including suicide bombings. By excluding the important role of religion as a recruiting tool for a jihad against the Jewish state, the course material prevents students from understanding current events and issues in the Middle East. References to charges that Jews are trying to “Judaize” areas that “belong” to the Islamic Trust. The religious notion of an Islamic Trust underpins Palestinian rejection of Jewish sovereignty on any part of the land. Attempts by the Waqf (religious leadership of the Muslim shrines atop the Temple Mount) to erase non-Muslim artifacts from Jerusalem’s Temple Mount. Screenshots from video on Palwatch.org: Palestinian TV host tells children that Israel is “occupied” territory that will “return” to Palestinians. Conforming to the Palestinian narrative’s erasure of the Jewish religious and historical connection to the land, the MEALA course slide presentation also diminishes this connection while emphasizing and embellishing Arab historic ties with the land. The unit selects as it starting point for weighing Jewish and Arab claims to the land late 19th century Palestine, a point at which the Jewish population was at a historic nadir and the Arab population far outnumbered it. The Arab inhabitants are defined as “indigenous.” This implies that the demographic picture at a deliberately chosen point in time determines who is native to the land and ignores archaeological evidence of prior Jewish connection. The presentation offers no substantive information on the millennia-old and continuous Jewish presence in the land that explains Zionism’s emergence. Students are not informed about the ancient Jewish kingdoms, nor do they learn of the subsequent return of the Jewish people from centuries of forced dispersal twice to restore sovereignty in their homeland. Stripped of its historical legacy, Zionism is treated as a newcomer, colonial movement with vague claims of an ancient connection to the land. The unit casts doubt on a Jewish historical presence in the West Bank (Judea and Samaria) by describing the “emergence of a strong mythic movement” to settle the West Bank. In contrast, a slide titled, “Palestine was part of the Ottoman Empire,” fabricates a historic Palestine linked to today’s Palestinians. In reality, Palestine, as an entity, did not exist during the Ottoman Empire, and there has never been a nation state of Palestine. Nor is it conveyed that the Arabs themselves never considered Palestinians a separate people. Arabs maintained a pan-Arab identity that only shifted toward a Palestinian national identity in reaction to the Zionist movement. The slide presentation, along with supporting texts, lend credence to the Palestinian argument that the land was unfairly apportioned in light of the Arab population advantage over the Jews in the late 19th century. Palestinian rejection of Israel is then justifiable due to this unfair apportionment. 14 slides include maps illustrating the territorial dispositions of Jews and Arabs. Six of these provide figures enumerating the Arab population advantage over the Jews, accompanied by text emphasizing that the Jews nevertheless got more land. Three maps show Palestinian populations in communities of pre-state Israel. One map identifies “razed” Palestinian villages. Several maps show Israeli territorial expansion and settlements after wars. One map shows the Palestinian refugees’ flight. No map shows the populations of Jewish refugees from Arab lands. 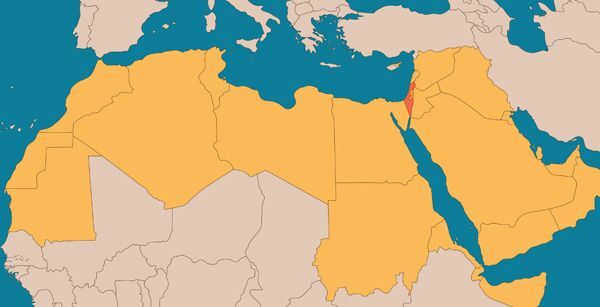 No map shows the total land area ruled by Arabs – with whom the Palestinians self-identify – and contrasts it with Israel’s land area. A single slide mentions that 800,000 Jews arrived in Israel from the Arab states, but does not provide any information on their centuries-old communities and their expulsion. The Jewish populations in the ancient kingdom and during the revived Jewish nation-states numbered several million. Prior to the Arab-Muslim conquest of the land in the 7th century AD the population exceeded 3 million. Under Arab and Turkish rule in the centuries that followed, the population declined to barely over 100,000. It was in the context of this depopulation and neglect of the land that Arabs came to outnumber the few remaining Jews. Many of the Arab inhabitants of modern Palestine arrived in the 19th and 20th centuries from Egypt, Algeria, Syria and Morocco; others came from the Caucasus and from Bosnia. Most of the land was classified as “state-owned” under Ottoman rule. This classification carried over to the Mandate period. When Israel was established, those lands transferred to the new state. No mention is made of repeated Palestinian rejection of Israeli peace offers in 2000, 2008, and 2014. These offers fulfilled nearly all the parameters of the two-state solution, which the Palestinians claimed was a foremost goal. A slide labeled “Right of Return” fails to inform that UN Resolution 194 was never in force because all the Arab states voted against it. They refused to agree to the requirement that the returning refugees must live at peace with the governing power (i.e. Israel). A slide labeled “The Six-Day-War” starts with “Israeli pre-emptive strike?” implying that this is a matter of reasonable debate. The course’s reading list includes a specious piece arguing that Israel planned the war to grab land. Students are not informed that the Arab response to Israeli offers to make concessions for peace after the June 1967 war was what has been dubbed the “Three Nos”: No negotiation, No recognition and No peace. Students are not informed of Palestinian refusal to accept Jewish sovereignty on any part of the land and Palestinian refusal to accept any consequences of the losing wars initiated by the Arabs. Missing is Palestinian terrorism starting in the 1950s and culminating in several massacres of civilians and children by terrorists in the 1970s. Jewish terrorism, however, is magnified despite the fact that the Jewish leadership and mainstream condemned such acts of violence, while Palestinians revere and celebrate terrorists. For example, the first time the word “terrorist” is used is in a slide titled “Freedom Fighter or Terrorist?” describing Jewish underground resistance in the 1940s. Another slide titled the “Stern Gang” includes a photo of the bombed-out King David hotel. No such sequence of slides exists for the many Arab terrorist attacks that killed and maimed thousands of Israelis. Nor are students informed that female terrorist Dalal Mugrabi, who participated in the Coastal Road massacre of Israeli civilian commuters, has been turned into a Palestinian national icon. Yasir Arafat and the PLO are introduced in the slide presentation after the Six-Day-War. The slide suggests that PLO activity against Israel was a response to Israel’s capture of the West Bank and the aim was the reversal of Israel’s presence there. In fact, the PLO was formed in 1964, prior to Israel’s capture of the West Bank. Other course texts do indicate that the PLO’s aim is to dismantle Israel. No mention is made of Arafat’s extensive involvement with terrorism. A slide shows worldwide occurrences of suicide bombings without any labels to identify perpetrators or victims. This serves to conceal the identity of the perpetrators as Palestinians and the victims as Israelis. There is no discussion of the Soviet Union’s role in launching a propaganda war against Israel or of the well-financed campaign by Arab oil producers, like Saudi Arabia, the Gulf States and Iraq, to promote decades of war and rejection of Israel. The inherent bigotry against Israel in the United Nations (UN) is not discussed. Such clarification is essential to students’ understanding the relentless condemnation of Israel at the UN and in other international bodies. A slide entitled “Current Conflicts, Prospects for Peace” states: “Violent acts on both sides invite violent reprisals, continuing the cycle of violence.” This sets up a false moral equivalence between Palestinian terror groups that target innocent Israeli civilians by launching rockets or infiltrating terrorists into Israel and Israeli defensive responses. The MEALA course fails to accurately convey the history of the Arab-Israeli conflict. Its omissions and factual errors serve the purpose of favoring the Palestinian narrative over the Zionist account. The course relies heavily on journalistic sources, some of which are prone to serious bias on the subject, including Al Jazeera, BBC, The New York Times and NPR. The MEALA course’s portrayal of the Israeli-Palestinian conflict reflects the distorted depiction of the conflict found in many college courses on the topic and educational workshops for teachers. This approach de-emphasizes the traditional role of a historian to discern and distill facts rather than simply to relay competing narratives. The flaws in the MEALA course at Newton North High School contradict the Superintendent’s assurances to parents that controversial topics are handled properly to promote “critical thinking” and a “diversity’ of views. In fact, this course is evidence of a stealth form of anti-Israel indoctrination. “Religious Battle? No. A political struggle over land and competing national aspirations. As a rebuttal to this slide, see: Mordecai Kedar, “Arabs and Muslims Will Not Accept Israel as the Jewish State,” BESA, Jan.18,2018. Article discusses the religious context of the conflict. Per Ilya Feoktistuv of Americans For Peace and Tolerance. The FOIA request specified that it wanted copies of all materials “in use” in the MEALA course. Wikipedia: Arab World, 5,070,420 square miles, 423 million people. James Gelvin, The Israeli-Palestinian conflict: One Hundred Years of War, Cambridge University Press, 2007. Gelvin, a UCLA professor, openly advocates for the BDS movement. To print a copy of this article, click on the PDF file.